We are proud to serve with a dedication to superior customer service for the home, hearth and humanity. Assist in the inspection and evaluation of wood burning appliances and dryer vents. Candidate must be committed and self-motivated to learning, training and testing to succeed as a Certified Chimney Sweep as outlined by the Chimney Safety Institute of America. Candidate must have valid driver’s license and pass background check. Candidate will be able to read and write in English with proficiency, calculate linear measurements, and perform mathematical functions in decimals and fractions. Must be able to use most hand tools, some power tools, as well as safely handle and transport ladders, vacuums and other implements during the course of service. Must be able to lift 50lbs over-head, climb ladders and maneuver flat and pitched roofs. Work environment is dirty and in close spaces at times. Proper safety covering and ventilation gear will be provided by the company. Previous experience with construction, plumbing, metal fabrication, or masonry preferred. 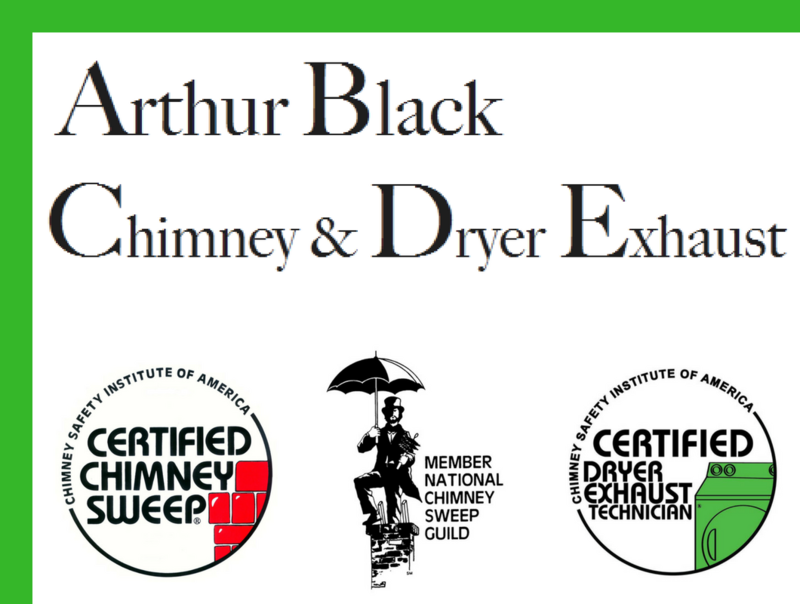 Arthur Black Chimney & Dryer Exhaust is a company of I’ll Get Right On It, LLC. Marc Black was thoroughly trained by two career chimney sweeps in Northern New Mexico and is certified both in Chimney Cleaning and Dryer Vent service through the Chimney Safety Institute of America. He is knowledgeable in the unique and diverse home wood burning experiences of New Mexico. ABC & DE provides Cleaning, Repairs, Modernization and Installations, Parts, Sales, and Accessories. Appliances serviced include Dryer Exhaust, Woodstoves, Fireplaces, Inserts. Proudly offering Buckstoves and In-O-Vate products. Ready, Willing & Able To Deliver Superior Service. We’ll Get Right On It.